Material: Body: Solid Hardened Steel Blade: Grain carbide Shank: 1/2"
- Highly sharpen, sharp blade cutting smooth no burr, no edges. - High abrasion resistance, high-precision grinding technology, superior abrasion resistance. - Using high-frequency welding technology, strong, durable, and long service life. 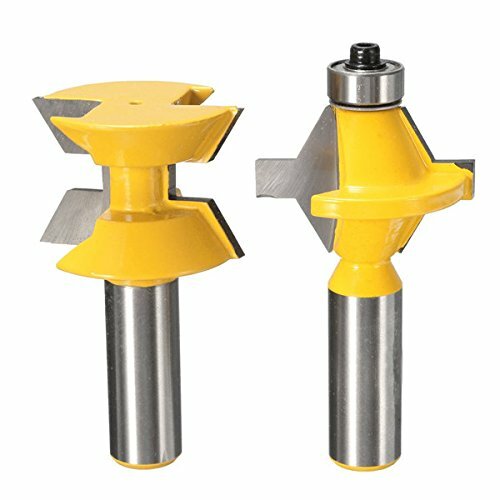 - C3 Micro-grain Tungsten Carbide Cutters; Solid Hardened Steel Bodies with Anti-Kickback Design; Bearing Totally enclosed & lubricated.